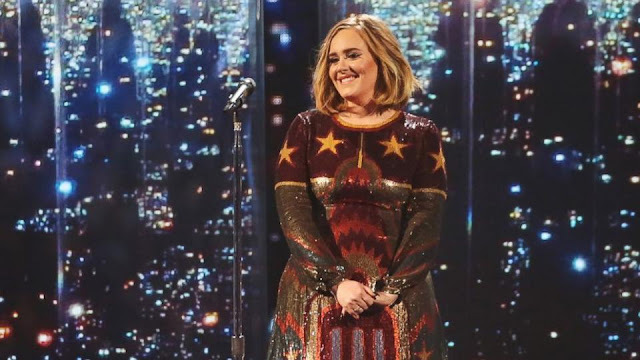 Adele made one young fan's dream come true by visiting her in her home. Adele, who is currently on her "25" world tour, visited 12-year-old Rebecca Gibney in her home in Belfast, Ireland on Tuesday night. According to her mother Tracy Gibney, Rebecca suffers from cerebral palsy and epilepsy, can't walk or talk, and is tube fed. She also has recently became bedbound. But despite her health issues, Rebecca finds joy in Adele's music and is a huge fan of the "When We Were Young" singer. Tracy started a petition on Change.org after she found out Adele would be performing in Belfast to try and see if she could get the 27-year-old singer to send Rebecca a video message after her concert. "[Rebecca] listens to Adele from she gets up in the morning until her bedtime," Gibney wrote. "All I am asking for is for Adele to FaceTime we Rebecca or send her a video message, it would be her dream come true, please please help for my beautiful sick little daughter."